Do you like spooky stories? I do. One time, I heard a scary tale about a politician who actually did something they promised to do. Resign. OUCH! Whatever next I wonder? A movie which is a hodgepodge of Victorian ideals? Like this one Directed by Roger Corman; and Starring: Vincent Price, Basil Rathbone, and Peter Lorre? It was made in 1962, and lasted for a whole 89 minutes. Do you like scary stories, dear reader? If so, have a butcher's at these three tales. Trust me. They all have some bite to them. Without a shadow of a doubt, the spectre of death is looming large over the 'Locke Family' this murky evening. The lady of the house, Morella Locke (Leona Gage), died many-many years ago, just after giving birth to her daughter, Lenora (Maggie Pierce). The man of the house, Mister Locke (Vincent Price), is feeling dead inside because of this close personal loss. And as for the daughter of the house, Lenora Locke, she's recently returned home because she's dying of a strange illness she's contracted. Oh-Boy! That all sound's pretty bad, doesn't it? But trust me. It all turns a lot worse next! Sniff! Sniff! Can you smell fire? Now it's pretty safe to say that the drunken-lush come cat-hater, Montresor Herringbone (Peter Lorre), has a very strained relationship with the dandy wine-expert called Fortunato (Vincent Price). Well, when he first claps eyes on him -- he hates him -- and challenges him to a wine-tasting competition post haste. Next -- he starts to like him -- and takes him home to meet his lovely wife, Annabel (Joyce Jameson). And finally -- Montresor begins to hate Fortunato once again -- especially when he discovers that both he and Annabel are sleeping with each other behind close doors. Ouch! That's a pretty dire turn up for the books, isn't it? But it's not a dire as what Montresor does next to get his revenge! Psst! I give you a clue. It involves: A drink. A cellar-wall. And a mangy-cat. Resulting in someone loosing there head. Literally. Whilst dying in bed of a painful illness, the erstwhile gentlemen, Mister Valdemar (Vincent Price), has a very peculiar request to ask. Firstly, he would like the hypnotherapist, Mister Carmichael (Basil Rathbone), to prolong his last few moments on this planet with the use of metaphysical technology. And then, once he's gasped his final breath, he wants his wife, Helene (Debra Paget), to marry his doctor, James (David Frankham), so she can be happy after he's gone. Ahhh! Isn't that lovely of Mister Valdemar? Although I wished I could say the same things about what next transpires! As spirits live on - hypnotherapy wears a thong - doctors hold a gun - and the last battle is fought when the dying is eventually done. Off the cuff, please allow me to say that 'Tales of Terror' was a very nice movie to watch. It's was timely. It was very well acted. There was a lot of pathos behind it. And just like the three diverse stories on offer, it was very diverse too. However, before I get to that, let's have some filmic facts first, shall we? (1) This one million dollar production was made between November and December, 1961, and released by 'American International Pictures' on the 4th of July, 1962. (2) Conceptually, this flick was based on two of Edgar Allan Poe's short stories -- 'Morrella' and the 'Black Cat' -- aided and abetted with a touch of 'The Cask of Amontillado' for good measure. (3) According to Vincent Prince, he based the character of 'Fortunado' on Ernie Kovacs's effeminate character, 'Percy Dovetonsils'. (4) Just to save some time and money on this production, the director, Roger Corman, reused certain sets and footage from his first Poe film -- 'House of Usher' -- which was made in 1960. (5) Did you know that a strange heated concoction of corn starch, glycerine, make-up, and glue, was used to give the impression that Vincent Prince's face was melting away? In fact, this stuff was so hot; it could only be used for a few seconds. 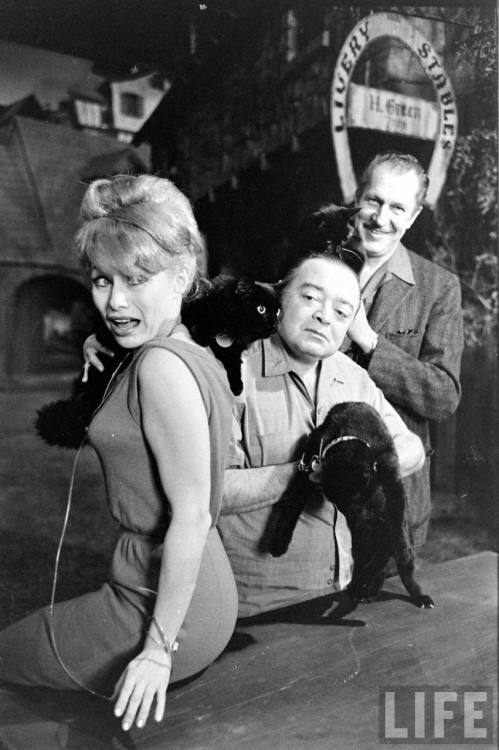 (6) A year or so after this movie was made, Vincent, Peter, and Joyce, reprised very similar roles to what they played in the 'Black Cat', in a very similar movie directed by Jacques Tourneur, entitled, 'The Comedy of Terrors'. (7) 'Lancer Books' published a novelization of this movie the same year it was released. Whilst 'Dell Comics' published a comic book adaptation some years later. (8) The 'New York Times' didn't like this movie one little bit; stating that it was a "dull, absurd, and trashy adaptation of the original works". Now where was I? Oh, yes! I remember. 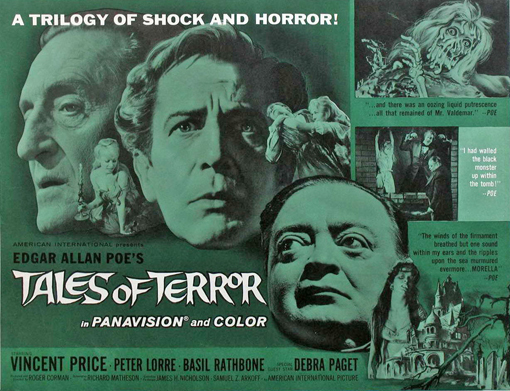 The diverse flavour of 'Tales of Terror'. But for me to explain to you what I mean by this factor, dear reader, I think it best that I tackle each chapter of these three stories, one at a time. To be absolutely honest with you, the only thing that I didn't like about this particular piece; was that it was too short. Yeah. Straight up. Once the story kicked in, and I finally figured out what the hell was going on -- BOOM -- it finished in a flashing of a fake-fire. It's a shame really. Because Vincent and Maggie really took charge of this monologue driven section; captivating me to such an extent that I wanted to know more about their relationship together, plus their relationship with Leona's character by default. Oh! That reminds me. I wasn't very keen on the scenario relating to keeping the dead mother in bed for twenty odd years, melting away. Nah! This felt a mite OTT for this type of tale. Plus it would have been nice for the whole spiritual aspect of this segment to be explained a bit more also. Out of these three tales, I'd have to say that this one was the best out of the bunch. Yeah. No word of a lie. I laughed. I chucked. I was in suspense. And I was completely enamored by this chapter, from the very beginning of it, to the very end of it. For a start, Peter Lorre was a right hoot as the unsympathetic drunk; lulling his way from scene to scene, in that doe-eyed way of his. Moreover, Vincent Price played his character so camp, that it was a shock when it was shown he'd been sleeping with the lovely, Joyce Jameson. Plus, in addition to this, here and there, there were some very artistic Roger Corman flourishes on show -- especially during the drinking or drunken sections of this tale. Hey! Wait a minute. I think I best stop myself there. I have a need within me to halt my critique about 'The Black Cat' until I eventually get around to watching it's successor -- as stated in my trivia-splurge -- 'The Comedy or Terrors'. One of the best aspects about this chapter -- apart from the very plush way it was presented -- was the manner it which it tackled the concept of metaphysics. To me, personally, the conceit about an open-minded gentleman wanting to prolong his time of death by using this specialist method; was very intriguing on a visceral level. I just hope that some up and coming filmmaker gets to watch this episode, and runs with this concept in the near future. Also, I have to mention both Basil Rathbone and Debra Paget. These two legendary actors aided this story immensely. Him with his stern demeanor. And her with her elegant grace and pert cleavage. 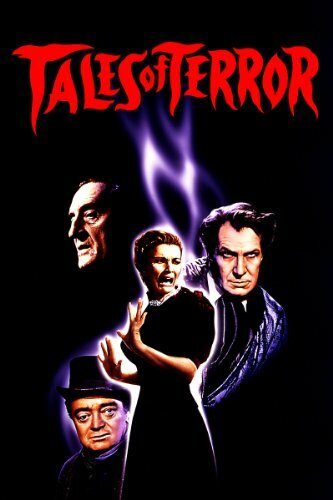 All in all, 'Tales of Terror' was a very nice anthology film to follow. Short in places. Funny in others. But always plush, well-acted, and intriguing to sit through at any time of the day. A class slice of cinema.